Mariah Carey dubbed ‘The Queen of Christmas’ continued with the festive holiday celebrations at her Christmas shows in Las Vegas, kicking off tonight at The Colosseum, Caesars Palace. Looking and sounding amazing, Mariah belted out some of her biggest hits, including ‘All I Want For Christmas Is You’, ‘O Holy Night’ and ‘Joy To The World’ from her 1994 best-selling Christmas album. Recently returning from Europe and London after performing to sold-out crowds, Mariah continues to keep her audiences around the world happy with her bigger than life concerts and spectacular gowns as she walks on stage with the voice that has made her a superstar, selling over 250 million records. Mariah will conclude her Christmas shows on December 22nd as she prepares for her next major event – a 2018 Golden Globe nomination alongside co-writer Marc Shaiman for their collaboration on ‘The Star; which earned them the incredible honor from the animated movie The Star. 2017 has been a big year for Mariah, as she was also honored in Hollywood back in November with her very own Hand and Footprint Ceremony where she cemented her hand and footprints in front of the world famous Grauman’s Chinese Theatre -also the place where her idol Marilyn Monroe also has hers. Mariah is definitely on fire –but one things for sure -we cannot wait for a new album from the Best Selling Female Artist of all time, which hopefully won’t be too far away in the near future! 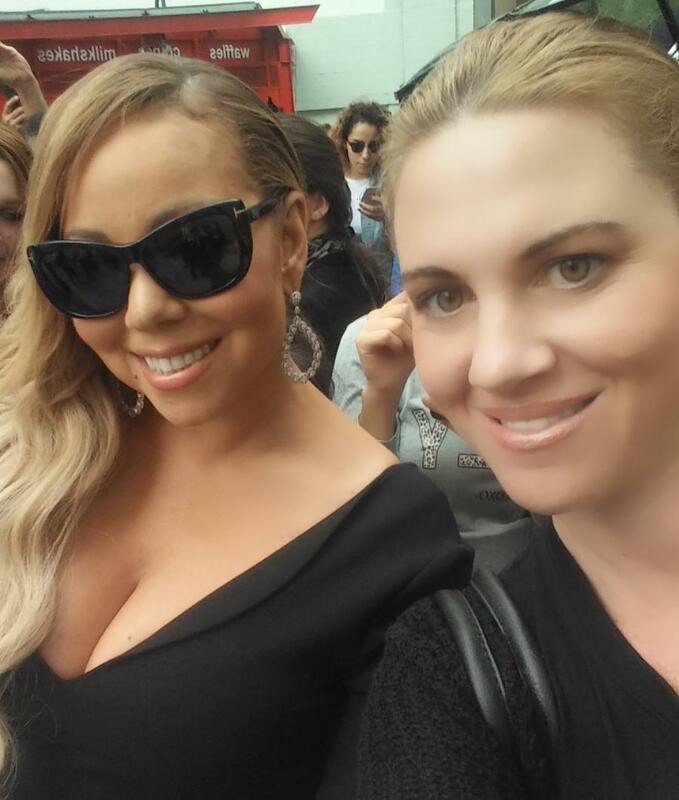 Hello Mariah, I love what you do, please keep it up. Wonderful singer, I love her voice Lol she has been my mentor. Beautiful voice Carey, was blessed last night. Saw your performance on twitter, it was really great, keep it up.